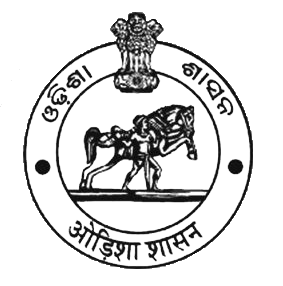 Animal Husbandry Sector has plays prominent socio-economic role in Odisha. Livestock production had always been an integral part of the rural livelihood systems in Odisha.This Sector has also the highest potential for rural self-employment generation at the lowest possible investment per unit. Development of Livestock Sector therefore, is critical to rural prosperity. The livestock wealth of Odisha is impressive in numbers across all species constituting a natural resource base with immense livelihood implications, though the productivity levels have not yet reached at peak. 88% of all livestock are owned by marginal/ small holders. Livestock production in general is highly women oriented as most of the animal husbandry activities like the care and management of milch animals, milking of dairy animal, grazing of small ruminants are dealt by women and most of the labour engaged in rural livestock production are women. Among the livestock species, cattle being the most popular, therefore the predominant livestock species. The animal resources development sector has ample scope to enhance considerably the production to meet the domestic market demands, create employment and income generating opportunities for the rural poor livestock keepers and enhance their food and livelihood security. So, it can be reiterated that livestock sector is an instrument for socio-economic development of the rural population of Odisha enabling steady growth of living standard. Furthermore livestock products account for more than 27% of the total value of agricultural output. Livestock food products are major contributors to a balanced diet. The Fisheries and Animal Resources Development department formulates different plans, policies, schemes and programmes for fishery and animal husbandry sector and is responsible for its implementation in effective manner. Out of 30 districts, Jagatsinghpur in livestock sector predominantly depends on Dairy farming compared to other livestock farming system. To make Animal Husbandry sector an engine of growth of the rural economy of Odisha, providing income and livelihood opportunities to people. To make Dairy farming as a viable livelihood option for small, marginal and landless persons by strengthening all forward and backward linkages. To enable poor farmers to improve the productivity of animals like sheep, goat etc. To make Backyard poultry a popular and viable subsidiary farming activity in rural area in terms of egg and poultry meat purpose. To enhance per-capita availability of milk, egg and meat including poultry meat. To increase the productivity through genetic up-gradation. To strengthen the disease control mechanism through surveillance and effective out-break management. To provide efficient veterinary services at the farmers’ doorstep. 1. Qualified Manpower (Vets & Paravets) 1. High demand of Milk and Milk products. 3. 13 No.s of Vety. Hospital/Dispensaries and 98 No.s of LACS 3. Scope for dairy, poultry, goat & sheep farming etc. alongwith agriculture and allied farming through Integrated farming under Commercial Agri Enterprise. 4. Functional district poultry Hatchery 4. Supply of Improved variety chicks for backyard rearing under OLM, ATMA etc. Provision of Healthcare services to livestock through treatment. Prevention & control of livestock & poultry diseases through vaccination & outbreak management. Breeding management through artificial insemination of cows/she buffaloes & pregnancy diagnosis. Castration of animals to prevent indiscriminate breeding. Ensuring better nutrient to livestock through supply of fodder minikits, enrichment of crop residues with other Fodder development programmes under RKVY and State plan scheme and supplementation of mineral mixture etc. Risk management of animals through livestock insurance scheme. Backyard poultry development programme through functioning of district poultry hatchery, implementation of Rural Backyard Poultry Scheme. Organisation of different animal health camps at village level. Dissemination of modern technical knowhow to the livestock keepers at field level through awareness campaign, capacity building training, Go-sambarddhana Utsav, Livestock Mela, Skill up-gradation training etc . Provision of healthcare services, vaccination, surveillance, diagnostics tests, awareness campaign, Artificial Insemination at village level through functioning of Mobile Veterinary Unit.. Encouragement of livestock farming activity through implementation of different subsidy schemes like Promotion of Dairy Entrepreneurship (P.D.E. ), Dairy Entrepreneurship Development Scheme (D.E.D.S. ), Entrepreneurship Development and Employment Generation (E.D.E.G. ), Commercial Agri Enterprise (C.A.E.) etc. Implementation of National Animal Disease Reporting System (N.A.D.R.S.) though internet portal. Implementation of Cross-bred bull production programme through Field Performance Recording System (F.P.R.S.). Implementation of different programmes and schemes under National Livestock Mission (N.L.M.) like Training programmes, Exposure Visit, Perennial Fodder Cultivation, Rural Backyard Poultry Scheme etc. Fodder development activities like Perennial Fodder cultivation under NLM, Provision of Chaff cutter at subsidised rate, Enrichment of Crop residue Programme etc. Poultry Development through Establishment of Rural Backyard Poultry Units under NLM, Functioning of District Poultry Hatchery & Marketing of Backyard poultry day old chicks.